business | Finance & Economics!!! Technological advance contributes enormously to economics efficiency. New and better products and processes enable the society to produce more goods at a less price, and produce a higher-valued mix of output. Technological advance improves productive efficiency by increasing the productivity of inputs and by reducing the average total costs. In enables society to produce the same amount of goods and services by using fewer resources, so that it frees unused resources and produce something else from them. If society needs now more less-expensive goods, process of innovation helps to gain greater quantity of output by sacrifying fewer resources used as input. We may state that process innovation increase productive efficiency: it reduces society’s cost of whatever mix of goods and services it wants and thus it is an important factor that shifts economy’s production possibilities curve by shifting it rightwards. 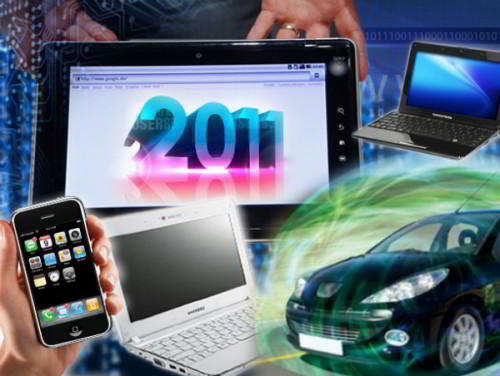 Technological advance used at production process of various goods increase the allocative efficiency by giving society more desired mix of goods and services. Consumers are willing to buy a new product rather than an older one only if the new one increases the total utility obtained from usage of the same quantity of scarce resources. That’s obviously that new product (and new mix of products) will create a higher total utility for society. That’s why demand for old product declines and demand for the new one increases. High economic profit gained from the new product attracts resources away from less-wanted by society uses to the production of new item. This shifting of resources continues until marginal cost and marginal benefit equalize each other. However, innovation (either of product or price) may create a monopoly power in the market through patents and through other advantages of being first. When a new monopoly power results from an innovation, society may lose a part of its efficiency it otherwise would have gained from this innovation. The reason is that monopolist may keep product’s price above marginal cost. Innovation may reduce or even destroy monopoly power by providing competition somewhere it didn’t previously exist. Economic efficiency is enhance after this event occurs, because this new product helps to push the prices down, close to marginal cost and minimum average total costs (ATV). Innovation that leads to greater competition in an industry reduces output-restrictions and monopoly prices. Innovation may even generate a creative destruction, in which creation of new products and production methods simultaneously destroys the market position of existing monopolies and old ways of doing business. 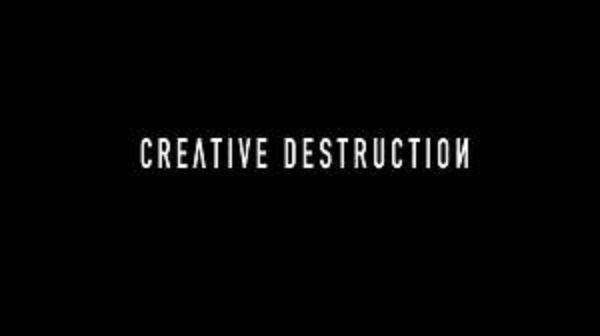 Examples of creative destructions: movies brought new competition to theatres, which can be shown one at a time, but movies latter were challenged by television, aluminum cans and plastic bottles also displaced glass bottles in many uses, e-mail has challenged the postal service. Schumpeter says that an innovator will displace any monopolist that no longer delivers superior performance, but this idea is most treated as a wishful thinking nowadays. In this view, idea that creative destruction is automatic, but it neglects somehow the ability of well-established firms to provide shelter by themselves or by lobbying government to do it. This idea ignores differences between legal freedom of entry and economic reality of entering potential newcomers to concentrated industries. In this case dominant firm(s) may use strategies as buyouts, selective price-cutting, massive advertising to block the entry and competition from existing rivals and appearing innovative firms. Moreover, some firms may be able to persuade government to give them subsidies, tax-break, tariff-protection to strengthen their market power. In conclusion, while innovation increases economic efficiency; in some cases it may lead to expanding of monopoly power. Moreover, innovation may destroy monopoly power, but this process is neither automatic nor inevitable. However, technological change, innovation and efficiency doesn’t always bring monopoly power. Does R&D incentive depend on market system? Is a highly competitive industry with thousands of small firms better suited for technological advantage than an industry that is made up of three or four large firms? Or is there another better suited market system? Let’s describe short-comings and strengths of all four market systems as related to technological advance. Is there a strong incentive for a pure competitor to initiate R&D researches? A positive factor is that strong competition provides a reason for them to innovate. If a pure competitor doesn’t introduce a new-product or cost-reducing production process, then one or more of his rivals that could drive the firm away from the market. As a matter of short-run profit and long-run survival, a pure competitor is under continual pressure to improve the product and process of production, and to lower the costs through innovation. Also, in pure competitive market there a lot of firms, so there is a greater chance that this improvement in product or process may be found by more firms. However, on the negative side, the expected return firm R&D process may be low or even negative because entry is extremely easy the profit from innovation can quickly disappear if the new firms that entered this kind of market structure are using the same new, innovated products and product technology. Also small the fact that the firms are small-sized and get only normal profit in long run leads to several questions if the R&D program is necessary in this case. Also it’s quite known that technological advance in pure competitive market system hasn’t come from R&D processes of individual firms but from example from government-sponsored researches (for example in agricultural industry fertilizers, new kinds of seed may be discovered by some governmental researches). Unlike firms in pure competition market, the monopolistic competition market’s firms sell differentiated products so they have a strong incentive to engage in product development. This incentive is to make their product different from these produced by competitors, because newly produced goods may create monopoly power and thus economic profit will increase. However in this case, like in pure competition market system there is the same negative side. Most monopolistic competitors are small sized-firms, thus their ability to secure inexpensive R&D process is limited. Moreover, monopolistic competitors find it difficult to extract large revenues from technological advantages. Economic profits are only temporary, because the entry to monopolistic competitive industry is relatively easy. In long run new entrants with similar goods reduce the revenues that came from innovation, so that the innovator gets only normal profit in future. Thus monopolistic competitors have relatively low expected rates of return. Oligopoly has many characteristics that permit technological advantage. First of all, large size of oligopolists often helps them to finance R&D process associated with product innovation. Often oligopolists realize economic profit, a part of which is saved. This retained-funding serves as a major source of available and relatively low-cost R&D. In addition, barriers to entry give assurance that firms will be able to maintain economic profits that these firm gains from innovation. Large volume of sales of oligopolists enables them to spread the cost of R&D equipment and teams of specialized researches over larger quantity of output. Finally, R&D activity in oligopolistics firms helps them to compensate inevitable R&D misses with R&D hits. That’s why oligopolists clearly have great incentive to innovate. However R&D activities may not always have positive effect. Oligopolists may not have such a great incentive to induce innovation process. An oligopolist may say that it’s little sense to purchase costly new technology and produce new products if they are currently getting high-economic profits even without them. The oligopolists want to maximize revenues by exploiting fully capital assets. Why to produce an innovative good if the firm is producing economic profits with equipment designed to produce its existing products? There are many large firms in this kind of market system that have quite modest improvements in R&D process. Generally pure monopolists have little incentive to engage in R&D, since it can continue to get economic profits because of entry barriers by maintaining to produce old good. The only incentive for pure monopolists to engage in R&D process is defensive: to reduce the risk of getting bankrupt by appearance of a new product or production process that may destroy it. If there is a possibility to discover a new product that will offer pure monopolists high revenues, they may have an incentive to find it. By doing this, monopolist will try to exploit new product or production process for continued economic profit or until it will get maximum possible profit from the capital that this firm assets. But generally, economists say that pure monopoly is conducting least innovation process. This information can lead us to discover a new theory called inverted-U theory that makes a relationship between market system and the rate of technological advantage. This theory presents R&D spending as percentage of firm’s revenue (vertical axis) and industry rate concentration (horizontal axis). Inverted-U shape curve states that R&D efforts are weak in very low concentration ratio (pure competition) and very high concentration ration (pure monopoly). 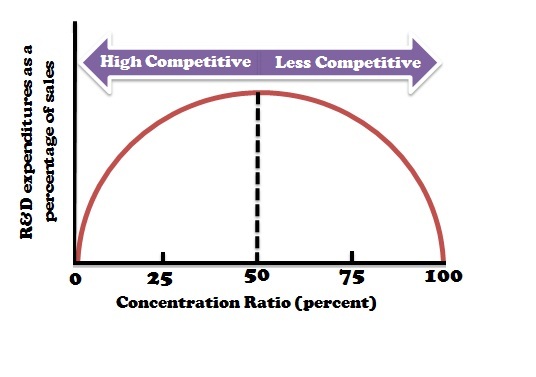 Firms in industries with very low concentration ratio are mostly competitive ones. They are small so that financing R&D is very difficult. Entry to these industries is easy, which makes difficult to sustain economic profit from non-patented innovations. That’s why firms in these types of market systems spend little from their revenues on R&D. In Contrast, in the part of the curve where concentration ratio in very high economic profits are very-high so innovation will not add more profit. Moreover, innovation requires costly “retooling” of big firms, which will create a great amount of lost money for whatever addition profit is. That’s why in the right part of the graph the expected rate of return from R&D is very low, and the expenditures on this process are low too. Also, lack of rivals make monopolist to spend less money from their revenues on this process. The optimal industry for R&D is the one in which returns from innovation spending are high and the funds to finance this process is available and inexpensive. 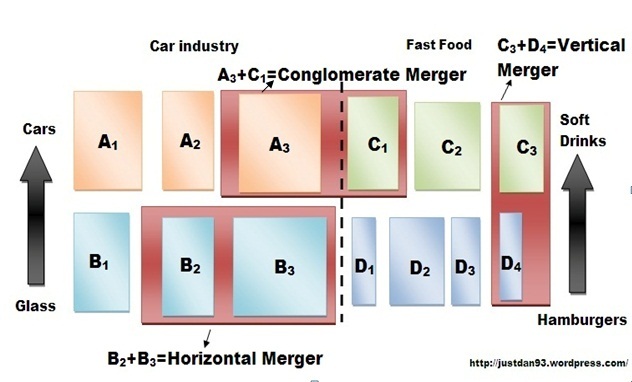 These factors seem to describe industries in which where there a few very large firms and where concentration ratio is not so high to prohibit competition by smaller rivals. Rivalry among larger oligopolistic firms and competition between larger and smaller firms provide a strong incentive for R&D. The inverted U theory shows that loose oligopoly is the optimal structure for R&D spending. Other things equal, the optimal market structure for technological advantage seems to be an industry in which there is a mix of large oligopolistic firms (40 to 60 percent concentration ratio) with other smaller innovative firms. “Other things equal assumption” is quite important here. If a specific industry is highly technical may be more important determinant for R&D than its structure. While some concentrated industries (like electronics, machineries) spend large quantities of money on R&D and are very innovative, others (like copper, cigarettes) are not. Level of R&D depends on its technical character and technological opportunities in its market structure. Simply, it’s easier to innovate a computer industry than a copper one. Conclusion: The inverted-U curve is useful depiction of general relationship between R&D spending and market structure, other things equal. How do firms decide what amount of research and development to use? This depends on the amount of marginal benefit and marginal cost firm gets after R&D activity. This decision comes from one basic rule of economics: In order to get the greatest profit a firm should expand a specific activity until marginal benefit (MB) will be equal to its marginal costs (MC). If a firm sees that a R&D activity brings more marginal benefit than the marginal cost then this firm should expand its activity. However, if marginal benefit is less than marginal cost then this R&D activity should stop or shouldn’t be started. R&D spending decisions is a complex one, because it involves a possible future gain for present sacrifice. While R&D spending is immediate the expected benefits are uncertain and may occur at some possible future point in time. The MB=MC idea is still relevant for R&D decisions. Bank loans– Some firms are able to finance their R&D activities by obtaining loans from banks or other type of financial institutions. The cost of using this kind of funds is the interest rate paid to the lender. The marginal cost is the Future Value (FV) of money borrowed. Bonds– Profitable firms may borrow funds for R&D by issuing bonds and selling them. In this case, interest is the cost paid by bondholders to lenders. In this case, again, marginal cost is the interest rate paid for money borrowed. Retained earnings– some big firms may finance their R&D activity by retaining some earnings. In this case firm retains a part of its profit rather than paying dividends to its owners. Some undistributed corporate profit, called retained earnings, can be used to finance R&D activity. The marginal cost in this case is the rate that could be earned from interest as deposits in financial institutions. Venture capital– A small start-up firm may be able to attract venture capital to attract R&D projects. Venture capital is simply money, not real capital. Venture capital is part of household savings that is used to finance high-risk business venture in exchange of possible future share if thus ventures succeed. Marginal cost of this type of financing is the share of expected profit that business will have to pay to these people that offered this money. Personal savings– Sometimes entrepreneurs may finance R&D activities from their own savings. In this case marginal cost is the forgone interest rate. To sum up, we may state that whatever are the funds for R&D, the marginal cost in all the cases is forgone interest rate, i. Let’s assume that interest rate is the same for all amount of money needed. Also, let’s say that a firm call EcoMoney must pay an interest rate of 10% for the least expensive funding available to it. Let’s draw a graph called interest-rate cost-of-funds curve that denotes marginal cost of each amount of money borrowed for 10% interest rate and is shown simply by a horizontal line. Let’s make a graph and a table that depicts this situation. With this information EcoMoney want to determine how much R&D to finance in the next year. Firm’s marginal benefit from each dollar spent on R&D is it is profit (or return) gained from it. Thus R&D is expected to result in a new product or production method that will increase firm’s revenue. This return isn’t guaranteed but it is possible, so there is a risk to invest money in research and development process. Let’s suppose that after considering all risks EcoMoney constructs an expected-rate of return versus research and development cost graph and table. Expected-rate of return curve is marginal benefit of each dollar spent on R&D. This curve slope is negative because of diminishing returns from R&D expenditures. 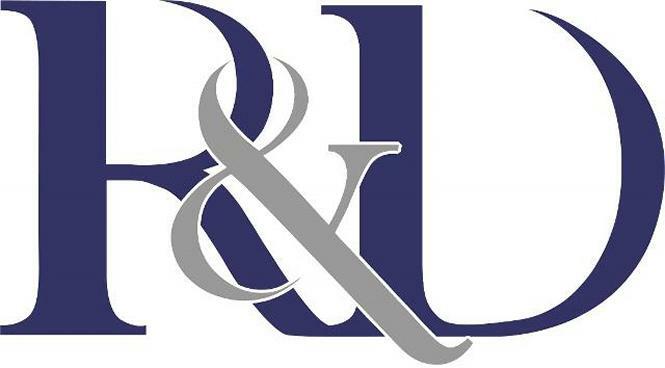 A firm will direct its initial R&D expenditures to the highest expected-rate of return activities and additional funding will be invested in activities that offer successively lower rates of returns. Thus firm increases R&D spending it uses to finance R&D activities of progressively lower rates of returns. The figure bellow combines interest-rate-cost-of-funds curve and the expected rate of return curve. These two curves intersect at EcoMoney’s optimal amount of R&D, which is 35 million of dollars. This result can also be determined from the previous tables that showed amount of funding at various rates of return and interest cost of borrowing (in this case 10%). AT this point MR and MC from expenditures on R&D are equal. The firm should undertake all R&D expenditures up to 35 million of dollars, since these parameters yield higher marginal benefit and expected rate of return, r, than interest costs of borrowing money, i. As we know there can be too much, or too little of a good thing. So it is with R&D and technological advance. The figures from above show that R&D expenditures make sense as long as the expected return equals or exceeds the expenditures needed to finance it. Many R&D expenditures may be affordable but also most of them aren’t worthwhile, because their marginal benefit is less than their marginal cost. The outcome of R&D researches are expected, but not guaranteed. At the time of decision, it may look worthwhile, but they can’t predict with high accuracy future events, that’s why sometimes some R&D decisions are like an informed gamble and not as typical business decision. Invention and innovation carry with them high possibility of risk. So there may be a successful outcome or a costly disappointment. Entrepreneurs: Entrepreneur is an innovator, initiator and a risk bearer- an element that combines labor, land and capital resources in new and original way so that this business may produce new goods and services. In past a single individual carried out all entrepreneur functions in a firm, but nowadays because of more technological complex economy, entrepreneurship is more likely to be carried out by entrepreneurial teams. Such teams may include two or three people working as their own bosses or developing new ideas, or this team may also consist of a larger number of entrepreneurs who are administrated their own financial resources. 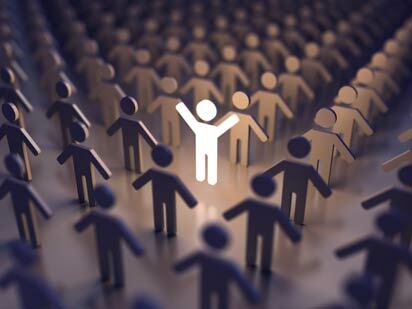 Sometimes entrepreneurs form some small companies called start-ups, these firms focus of developing and introducing new products or on creating a new production or distribution technique. An example from history, was when two people working in their garages, formed such a start-up in 1970s. After some time they have founded their own company: Apple Computers. Innovators also work in already existing corporations, whether these are large or small. In this case innovators are salaried workers which are paid very well and get substantial bonuses and shares of the profit. R&D work in large corporations has produced very important technological advances in different production systems. However, some large firms have split their R&D and manufacturing part of firm and have formed new, more innovative firms. It’s extremely difficult to anticipate the future but that’s what innovators are trying to do. These people who have strong anticipation abilities and are highly-determined may be able to introduce new and improved products at the right time. If they do so, the rewards may very big, monetary and nonmonetary ones. In order to develop a product one should be very creative and rewards for his success may be some intangible rewards like personal satisfaction. Winners of this competition of innovations can reap huge monetary rewards in for of economic profits, stock appreciation and very big bonuses. An example can be Paul Allen and Bill Gates who founded Microsoft in 1970s and received by 2000 approximately 60 billion of dollars. Past success offer innovators and entrepreneurs access to further innovations that may anticipate buyers’ wants. Even if they may not succeed the second time, a try is also important. Market doesn’t care if the entrepreneurs and innovators are Canadian, Americans, Japanese, Chinese or Swiss. Main scope is innovation and better society. Very small amount of money from R&D is spent on scientific research, because scientific principles can’t be patented and they don’t have immediate commercial uses. However, scientific knowledge is very important for technological advance. That’s why entrepreneurs try to find out the output of universities and government labs’ researches. Government and university labs have been the place where a lot of amazing technological inventions have been discovered. Computers and biotechnology are some results of experiments made there. That’s why firms tend to invest in university researches that are related to their products. Business founding of R&D at university has grow rapidly. Today scientists and universities understand that their work may have some commercial value, that’s why they are teaming up with innovators and share possible profits. However, some firms find it more profitable to make researches on their own. This is more common in pharmaceutical and computer industry where it’s uncommon to distribute new scientific knowledge generated in their labs. This model is a very interesting one. It explains some phenomena that are happening in oligopolistic type markets. So what does it means? Price leadership is an implicit (invisible) agreement among oligopolists by which they can coordinate prices without involving in price collusion based on secret meeting or formal agreements. This kind of method requires the “dominant firm” (largest or most efficient one) to initiate price changes, so that all other firms more or less will try to follow this leader. In many industries cement, fertilizers, cigarettes, cars and diverse machineries industries practiced this price leadership. Since the price change may create the risk that the rivals won’t follow it, price regulations should be made only infrequently. Price leader shouldn’t respond to daily small increases in costs and demand. Price should be modified just in the case when costs and demand have changed greatly, for example the price of row materials or wages of workers increased rapidly, or government excised higher taxes. Price leader sometimes communicates higher costs other oligopolistic firms by means of speeches of major executives or press. By publicizing the need to raise the price, price leader seeks other rivals to inform and to agree about price modifications. Price leader may not always choose the price that maximizes the profits in short-run for the industry, because it wants to block the entry to this industry of new firms. If economies of scale of existing firms are the major barrier, then new firms can pass this obstacle if the existing firms, including price leader, set a high-price for the goods and services they produce. So, new small firms may survive only if the industry sets a very high price. To block the entry of new firms to this oligopolistic market system, this price leader may keep the price bellow short-run maximizing level. This strategy of blocking entry from the new firms is called limit pricing. Sometime price leadership in oligopolistic market system may end up at least temporarily or may result in price wars. Most price wars sometimes run their course. When the firms realize that low prices are reducing their revenues dramatically, they may “offer” price leadership to other industry’ leading firms. That firms starts to rise prices and other businesses are willing to follow. Oligopolists face different cost of production and demand curves, so it’s difficult for them to agree on price, which is true for industries that produce differentiated products and change them frequently. Even if firms have standardized products, they usually have different market shares and operate at different degrees of productive efficiency. That’s why even homogeneous oligopolistic firms may have different demand and cost curves. Differences in demand and cost mean that even profit-maximizing price and output will be different among firms; there will be no single price acceptable by all firms. Price collusion depends on concessions and compromises which are not easily to obtain, since there are many obstacles to collusion. 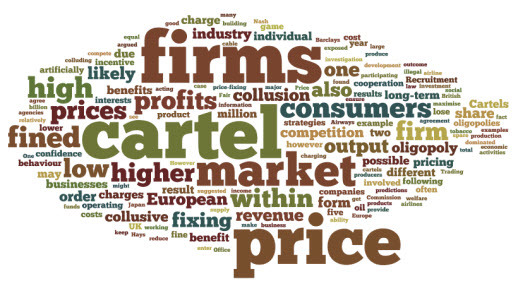 So, it’s obvious the fact that more firms being present in an industry, harder is to create a cartel or other kind of price collusion. An agreement on price set is relatively hard to accomplish when there are 3 or 4 firms, but what if there are 10 firms that share each about 10% of the market, or there is Big Four that has about 70 percent of market share, and there are 4-5 small firms that have other 30% of this market share. As it was explained in Game Theory model (previous article), there is a high-temptation for collusive oligopolistic firm to make a secret cut in price that may result in increased revenues. So buyers that are getting price cut by one supplier may wait for price-cut for another. Buyers may attempt to create a play between these two firms, so that it may transform into a real war. Even if cheating between collusive oligopolists may be profitable, this act is destructing it over time. However, collusion is more likely to succeed when cheating is easier to observe and punish. Greater revenues may result in attracting new firms in this industry. Since this may create increased market supply and reduced prices, successful collusion of oligopolists requires them to block the entry for new producers. Recessions serves as enemies to collusion, since markets will increase average total costs (ATC), because oligopolists’ demand and marginal revenues (MR) will decrease in response to this recession. Firms will find out that the quantity supplied by them is in excess, so these firms will have to avoid great profit reductions (or losses) after cutting prices and thus they will gain sale at expense of rivals. 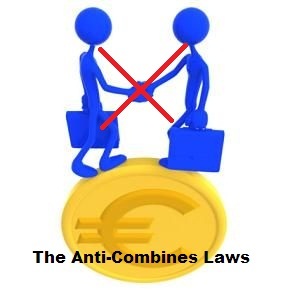 Many countries have anti-combined laws that prohibit this price-fixing collusion, so this means that they have a system of price control.